Marketing and promotion: Showcase and distribute compelling information to potential visitors to create awareness and interest in the destination. Relationship connections: Connect local vendors/suppliers with potential customers planning to visit the destination. Visitor Servicing: Direct visitors to local experiences and vendors once they arrive at the destination. Destination Marketing 1.0 (circa 1900): Before there was a travel industry, there was an immigration industry that literally built nations and economies. Populating expansive far away countries was a problem for new governments trying to build a nation from scratch. 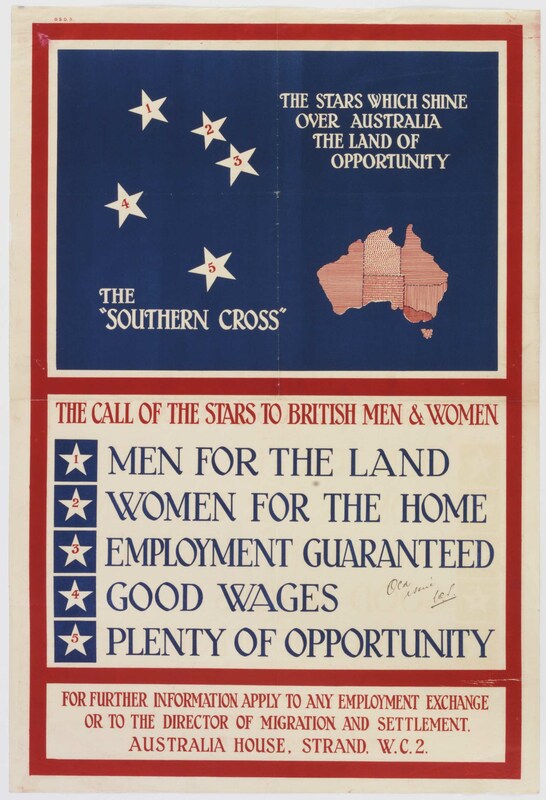 Government and corporation-controlled destination marketing played the crucial role in enticing prospective settlers through posters, newspaper advertisements and lectures (the communication channels of the day) to relocate to places that few had ever heard of with compelling value propositions, playing to their target audience’s need for a better life than the one they were then enduring. 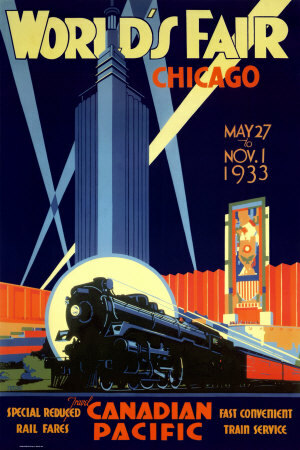 Destination Marketing 2.0 (circa 1930): The travel and tourism industry came of age with the advent of the world’s fair concept in the early 20th century. Organizers literally invited the world using those same immigration broadcast channels, touting the destination as the only place in the world that showcased the latest and greatest products and inventions for all those that could afford it to see. Going to a world’s fair was the pinnacle of many bucket lists and it was the role of the destination marketer to get the information out there and also to introduce the necessary travel supplier connections to make the experience happen for those wanting to get there. Destination Marketing 2C: (NOTE: I refer to it as “2C” since the changes in marketing strategy and approach, despite the boom, were largely cosmetic. Sure, new channels and new media (TV, the web, email) emerged giving marketers new message placement options. But the approach stuck to traditional awareness messages and relationship brokering using information controlled and managed by the destination.) From the 1960’s to 1999, the tourism industry flourished, fueled by the rapid global expansion of low-cost air travel and a growing middle class that made travel a social and cultural priority. Resorts, event venues and attractions boomed. Industry investors had the problem of having to fill their properties in a now highly competitive world. Travelers now had the problem of needing more information on more places that were previously unknown or inaccessible. Destination marketers were the ones to provide the solution with the most relevant and authentic information for travelers. They also brought expertise on key market communication channels as well as connections to the vital destination suppliers for interested travelers and travel/event management companies to bring it all together. A robust and aligned industry market and supply chain was born. Harmony reigned supreme, enabled by destination marketing. The Great Disruption! : Around about the dawn of the new millennium, the world changed for most industries. Ubiquitous and free access to the internet leveled the destination information playing field for the traveler, empowering them to act quickly and individually. Local operations became globally connected and visible, no longer needing to market as part of a destination collective. Marketplaces became conversations, not one-way broadcasts, with the customer in-charge. Customers wanted and now were able to get direct transparent connections, bypassing intermediaries, to their desired destination suppliers before, during and after the travel experience. As a result, supply chains became shorter, cheaper and disintermediated. In short, the legacy solutions and value propositions that gave birth to the destination marketing 1.0 –> 2C ecosystem became irrelevant. Many of the legacy problems that gave rise and relevance to the destination marketing function were now solved through a vicious disruption of the ecosystem. PROBLEM: The tsunami of unsolicited destination travel information and sketchy offers that flooded the market with the internet explosion have frustrated and confused countless travel buyers. SOLUTION – Less promotion, more curation: Customers today desperately need a trusted “destination curator” to gather and package all the authentic information relevant to their specific travel needs (be it for leisure or business/event travel) from the vast repositories of available information from community, marketplace and sources beyond. And then deliver it personally. Destination marketers need to be that curator. One travel start-up called Hopper is now doing just that. At the very least this will reduce the number of websites that a typical traveler now visits (an average of 22 according to Google) during the research process. At best the DI – Destination Intelligence – they create will ensure the experience of a lifetime or a business event that blows its objectives outta the park. Customers will gladly pay for that. What does it look like at the marketplace level? : Potential travelers could be presented with specific destination content and social media intelligence curated according to traveler personae or desired destination activity or recent travel experiences as provided by the traveler. For event professionals destination content could be provided according to group profile, event objective, industry or social affiliation. In both cases, relevant content is being provided to the decision-maker to make the most informed decision, saving time, money and ensuring a richer experience. We’ve all seen content curation technology on platforms like Storify, Trap.it and Feedly as well as the predictive selling functionality on Amazon. The time is ripe for destination marketers to integrate content curation into their operations, delivering customer-centric value and equity for their destination brand. That’s enough for this week. Would love to hear your thoughts and ideas on the Destination Marketing 3.0 world. Next week in Part Two I’ll share some additional solution opportunities in the Destination Marketing 3.0 ecosystem…and barbeque a couple of sacred cows along the way.